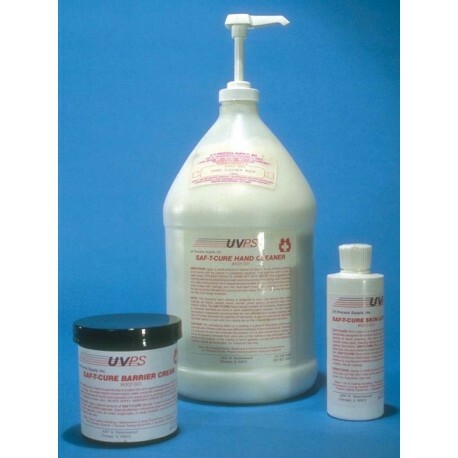 To protect lab and packing department personnel against harmful ink exposure, ink manufacturers rely on our specially formulated, waterless SAF-T-CURE® UV HAND CLEANER. 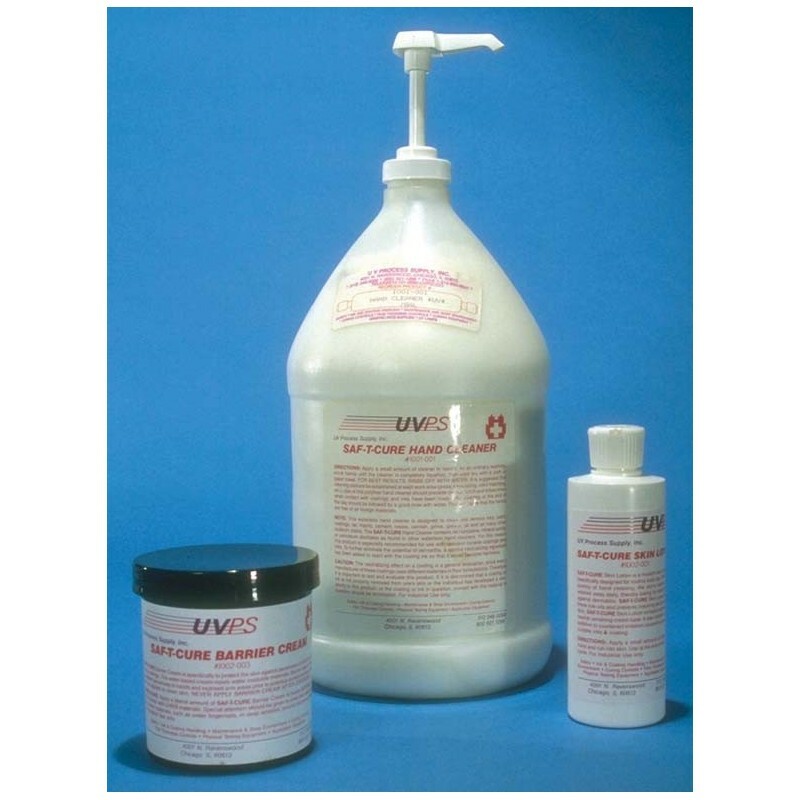 Ideal for removing UV/EB curable inks, coatings and adhesives from the skin, our UV Hand Cleaner contains a proprietary neutralizing ingredient consisting of microfine, grit-free particles that provide extra abrasion cleaning agents. And, unlike other commercial hand cleaners, SAF-T-CURE® UV HAND CLEANER does not contain any harmful organic solvents. Instead, a unique additive is included to counteract the irritation effect of UV/EB materials while softening and protecting the skin. After use, a thin layer continues providing additional protection from water-insoluable irritants. Available in pint, quart, and gallon sizes. Also available with pumice in the gallon size.